Original cornice coming from one of the houses built in 1903. It is a modern cornice. Due to its small size on the wall, it was used in rooms above the windows. Therefore, it is much longer on the ceiling. The cornice has a combination of modern and classic style. It has the clear shallow ogee shape along with the flat steps. 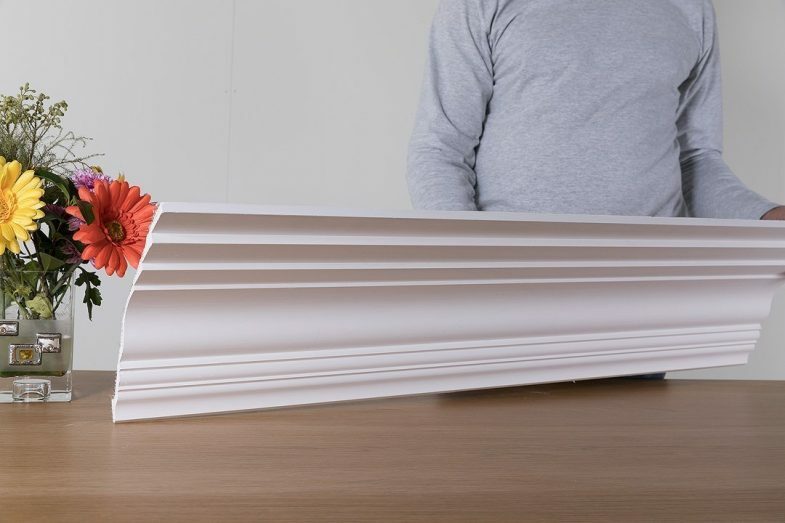 This cornice is most suitable for big rooms with high ceilings. Yesteryear Range.